There are several key factors to a successful show, from writers, actors, producers, cinematographers, directors, production teams as well as composers. Blake Neely is the man behind the music and score of our favorite CW DCTV shows such as Arrow, The Flash, Legends of Tomorrow and Supergirl (which is moving from CBS to CW this season) and has been part of the Berlanti-Verse since the beginning. 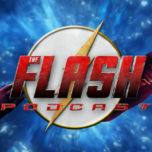 At this year’s Comic-Con, The Flash Podcast’s very own Amy Marie Hypnarowski was fortunate to sit down with Neely to talk about what goes into making the scores for so many shows. This interview will also be available in print form shortly on The Flash Podcast’s website. Catch The Flash Season 3 on Tuesday, October 4, Arrow Season 5 on Wednesday, October 5, Supergirl Season 2 on Monday, October 10 and Legends of Tomorrow Season 2 on Thursday, October 13, all at 8/7c respectively, on The CW!